First and foremost is the unbiased experience that consultants provide. Because they have no stake in the outcome (aside from providing the best service possible so you'll hire them again) , consultants can suggest radical or controversial strategies when needed. Few maintenance professionals have been inside more maintenance facilities than a qualified consultant. Consultants can often apply a wide knowledge of maintenance practices from many industries and organizations to help solve the problems that eat at you. 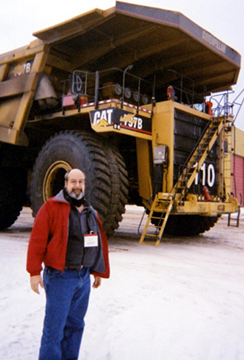 Consultants can bring to bear ideas that have been successful in other industries and organizations, such as government, education, mining or transportation. A consultant who teaches has access to discussions from thousands of maintenance professionals from hundreds of sessions. In some cases organizations listen to outside consultants more closely than to their own in-house experts. Some organizations turn to consultants because the in-house staff has the skill but not the time. Consultants can focus their entire attention, without distraction, on a narrow problem. A consultant can usually get on-line rapidly -more quickly than even a highly qualified new hire. Levitt providing planning, scheduling, and shutdown support at Syncrude, Ft. McMurray, Alberta, Canada. Instead of hiring, consider contracting with a good consultant. You can send them home when the project is complete, minimizing overhead and disruption while ending up with the results you hoped for. Springfield Resources undertakes a wide range of consulting projects on behalf of clients. 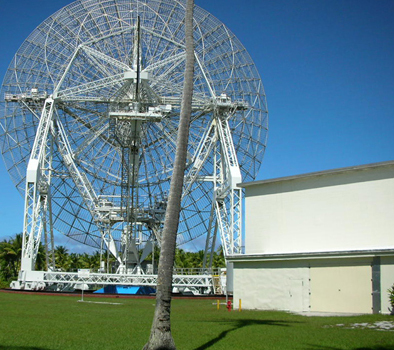 Levitt helped install the CMMS at the largest radar installation in the world, above, Kwajalien Atoll, Marshall Islands.